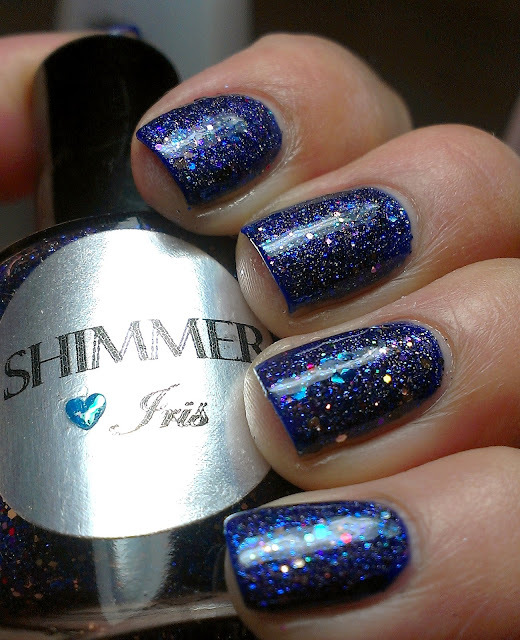 My twin Maria and I are so crazy about Shimmer Polish, we ordered a custom made polish with our names. 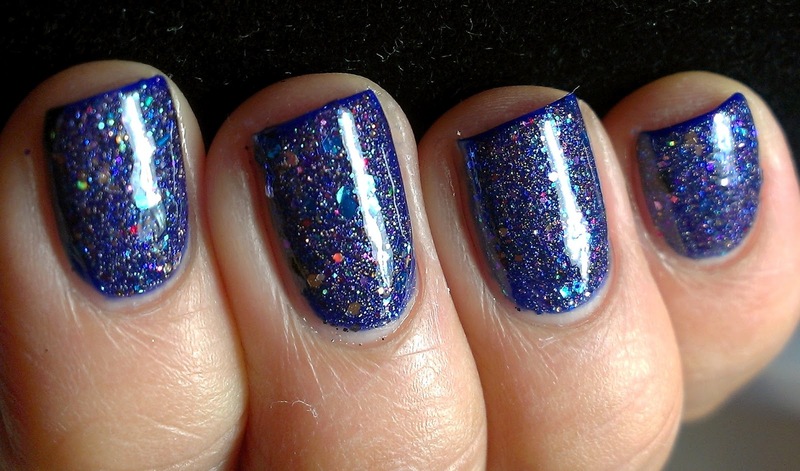 So for today's post we will be sharing our lovely polish. The lovely Cindy, who is the mastermind behind these creations came up with such a great combination. I'm in LOVE! This is Iris, this polish is so intense it is so hard to describe or to even capture how pretty it is and it looks so different in every layering combination. 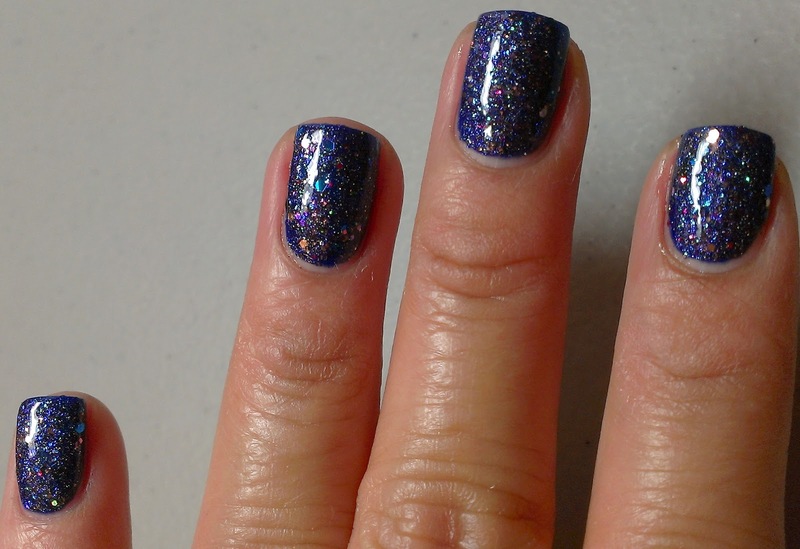 It has a combination of pink, purple, gold, red, blue, green and black glitter in what seems to be a purple holo base or I could be losing my mind hahaha, maybe a purple shimmery base... IDK but it looks holo when its layered over black. This is so very special! 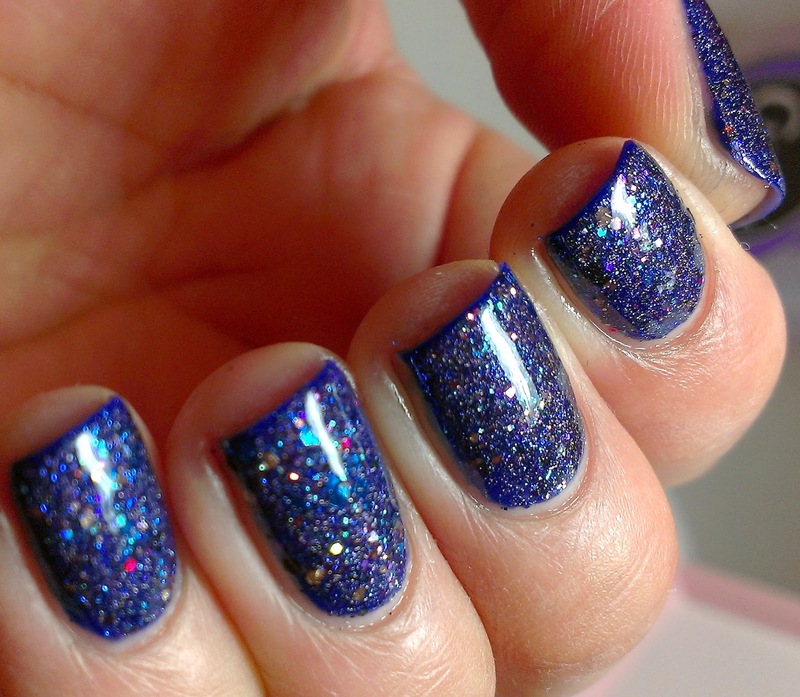 And have your polish custom made is such a cool idea!! Oh how I love that Royal blue~ So stunning! 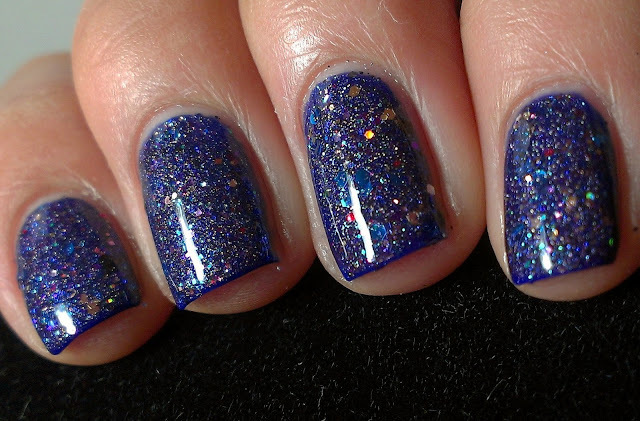 Wow, it's so gorgeous, I love a good Royal Blue & glitter to boot! 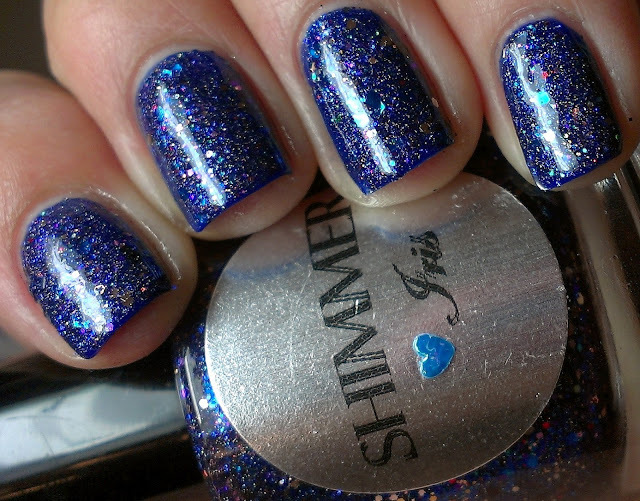 Oh WOOOW, I' not a glitter person, but often fall head over heels for them - this one is sooo gorgeous! Thanks for sharing! Im in heaven! Blue and glitter is for me!!! 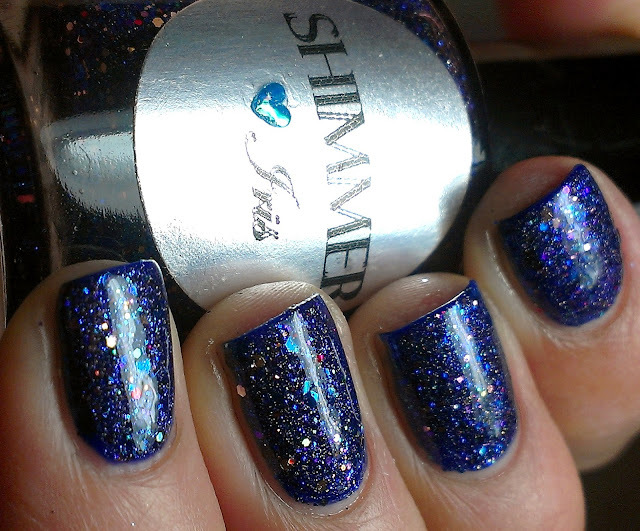 All the Shimmer polishes are gorgeous! I love this over Revlon Royal! so beautiful! <3 i love it !! but you know what it bugged me a little that my label was kind of blurry. LOL did it bother you too?! I absolutely love this over blue - the bomb! This is absolutely gorgeous. 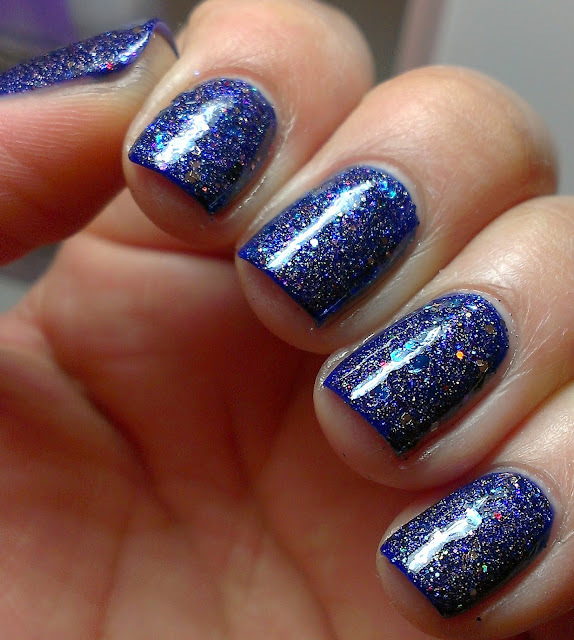 It looks so awesome over Revlon Royal, what a perfect combo! This is such a fun combination. I love the blue color!